By the time we got the red alert to place our bodies in a human barricade around an old hotel that held seventy years of our city's hotel history, we were already the displaced people in the city's plan to impose a particular meaning of home and a particular meaning of nation. Since our hotel life was considered suspect morally and socially, our hotels should naturally be replaced by proper single-family houses built in locations distant from the city, and our hotels and all our businesses that serviced us should be replaced with what the city was properly useful for: trading posts, jails, courthouses, and saloons. And no one should be allowed to live over a saloon unless he was just passing through. A commercial room was simply not a dwelling. These edicts were substantiated by zoning and blight laws allowing the city to use eminent domain to liberate our homes for the public good, even if the public good meant giving up our property for the wealthy few. Almost as quickly as an earthquake, our neighborhoods located in the Fillmore and South of Market were already razed and being replaced by forty-eight-story multinational corporate trading posts. Even if we were expected to build, maintain, clean, and service these posts, we weren't expected to live anywhere nearby. Be at work promptly at eight a.m., but please, please disappear by ﬁve p.m. But this was an impossible request because we could not leave, and we had nowhere to go. So that night in August, far past our ﬁve p.m. curfew and into the next morning, we gathered around the I-Hotel to face four hundred officers of the police, sheriff's, and ﬁre departments all dressed up in riot gear, to demonstrate that we had not disappeared and that we were ﬁnally fed up. What was the total cost to us as taxpayers, not just in overtime and equipment, but everything -- everything it took over how many months in anticipation to deploy the full force of the city's and county's ﬁnal retribution? No doubt more than a million dollars, the insipid worth of the structure we defended. Had we not ourselves elected these men of good intentions: the mayor who ran out of promises, the judge who ruled for eviction despite a hung jury, and the sheriff who carried out a law he thought to be unjust? Did these elected officials also think that our city was only useful for trading posts, a courthouse, and a jail? Armed with only our bodies, we faced our officers of the law -- heavily protected by face helmets, gloves, sticks, given height by their tall animals, speed by their motorcycles, reach by their aerial ladders, and ultimately power by their deadly weapons. We saw the barricades part for the Sheriff himself, driving up to the I-Hotel. He emerged from his vehicle as if it were his powerful steed and stood in the blinding spotlights of that evening, young and handsome, dressed informally in a gold turtleneck sweater and casual jacket, bidding his dinner partner a sweet good-night. Perhaps it was a brash double-oh-seven gesture lost to our angry chanting. We knew he had been convicted for contempt of court, spending ﬁve days in his own jail for refusing in January to carry out the court order of eviction of the tenants of the I-Hotel. Was he not one of our own people, our own gallant knight, and would he not once again take a stand in our favor? Had he not himself complained that the laws of our society were written to protect those with property and money? Would he later justify his part in the eviction based on having, as an officer of the law, to carry out the law, just or unjust as it may be? As two thousand of us were eventually bullied away from the hotel entrance, we saw our sheriff enter at the head of his deputies, leading them into the hotel and the ﬁnal phase of the eviction, breaking into the doors of each of the hotel tenants and ordering them to leave their homes. And yes, we knew that each room was a tiny home, a place of ﬁnal refuge for a lifetime of work, and that the room, though housed in a hotel, was still a home. So when we saw our sheriff place his sledgehammer to the ﬁrst door, banging and splintering the old dark wood into jagged pieces, we were ourselves diminished by every stroke of his hammer. We heard the wretched sobbing cry of horror, an anguished plea but also a warning, No! Don't do it! Don't do it! But our sheriff had made his decision, perhaps, he justiﬁed, to take responsibility by being an actor in this painful event, to mitigate what he imagined could have been a more violent end. But we would never forget his violent presence on that night and the sad betrayal of his actions. Shame! Shame! Shame! we cried. Where will you live when you get old? Where will we live when we get old? 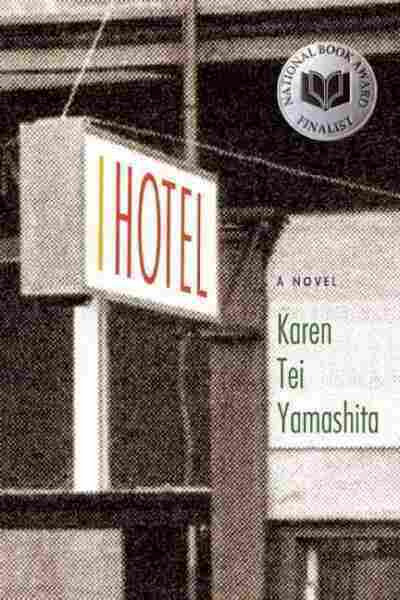 From I Hotel by Karen Tei Yamashita. 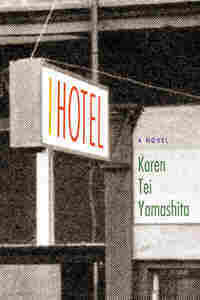 Copyright 2010 by Karen Tei Yamashita. Published by Coffee House Press. Used by permission of the publisher. All rights reserved.